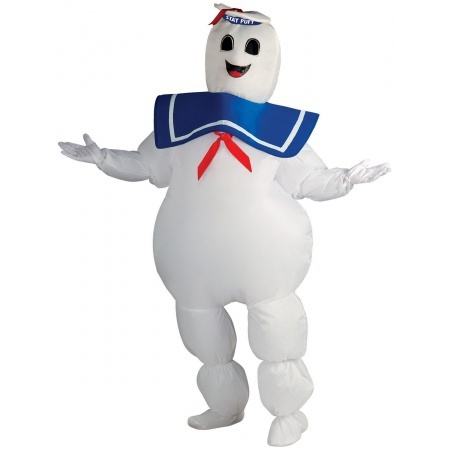 The Stay Puft Marshmallow Man costume includes inflatable jumpsuit with battery operated fan, gloves and headpiece. This inflatable Stay Puft Marshmallow Man costume comes in adult size Standard. 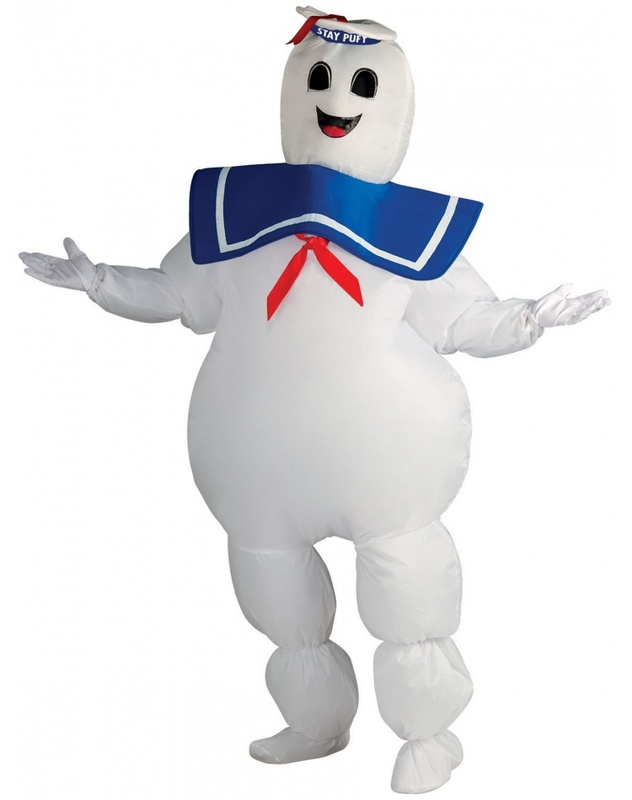 This inflatable Stay Puft Marshmallow Man costume is an officially licensed Ghostbusters costume. Funny family costumes ideas: Dress the whole family in Ghostbusters costumes for Halloween!